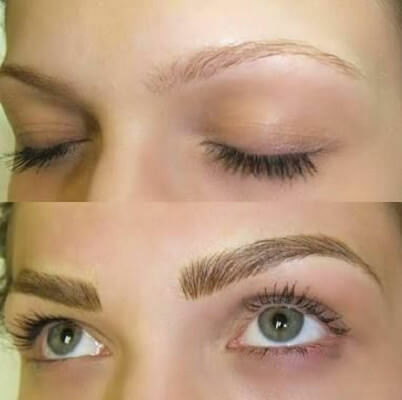 Microblading is a semi-permanent form of tattooing that will give you the perfectly shaped eyebrows you have always wanted! Using organic pigment that matches your natural hair colour, the pigment is impolanted into the dermal layer of the skin that creates a natural hair-like look that lasts 12-18 months. For those who just want to add a slight arch are also great candidates, and the results are a natural, undetectable fringe.